Hanna Wroblewski is a UK based, German artist and yoga instructor. Her website required a means to display her artistic projects as well as biographical information and details on attending and booking classes. The site is bilingual, with an option to read all information in Hanna's native German. Alongside the website, JBMS developed an identity for Hanna in the form of a logotype and a concept of movable type, where individual letters in the name can be displayed in multiple, moving configurations. 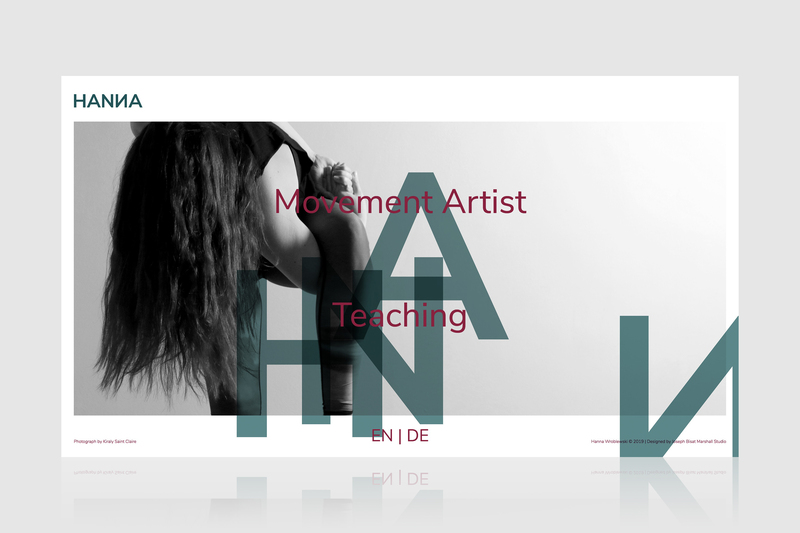 This was designed to explore Hanna’s interest in dynamic movement, chaotic order/ordered chaos.